Telford Offshore has been awarded a charter party from Indonesian contractor Timas Suplindo for the DP3 multi-purpose offshore construction vessel, Telford 25. The three months contract, with options to extend, will see Telford 25 support a wide range of services from installation of subsea structures and piles, flexible pipelay, and saturation diving for the TSB Phase 2 Development offshore Indonesia. The vessel, which is under planned dry-dock in Indonesia, will perform her first contract in her new colours for this charter contract with Timas Suplindo. Headquartered in Dubai, Telford Offshore is an international offshore service provider offering cost-effective construction and project management solutions to the oil & gas industry, with a fleet of four DP3 support vessels. 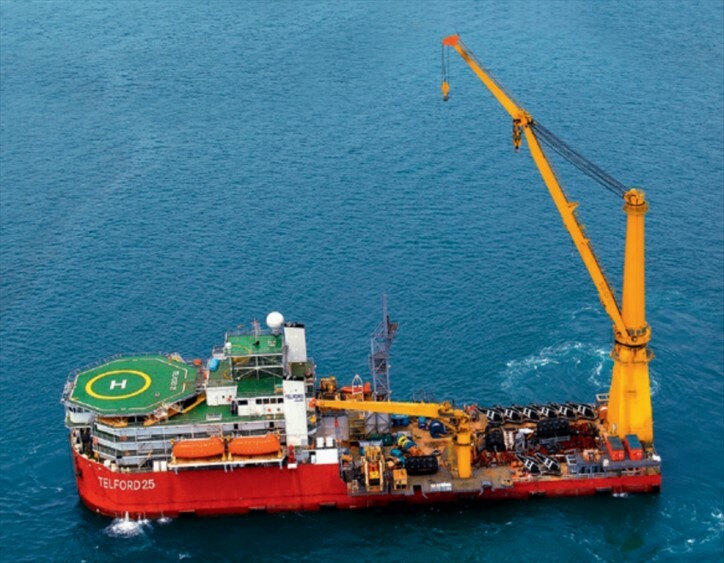 Mobilisation in Batam, Indonesia, is scheduled for the start late November in preparation for the offshore installation of subsea structures, flexible pipes, umbilicals and spool pieces. The vessel shall also be fit-out with saturation dive spread for subsea installation and tie-in work. Telford 25 is one of the Telford Offshore’s DP3 fleet of accommodation and construction vessels. She is equipped with an 800t heave compensated main crane, and 1500m2 of unobstructed deck space. The vessel can accommodate 355 personnel. Duncan MacPherson, Telford Offshore Chief Operating Officer, said: “We are very pleased with this contract from Timas Suplindo. Over the course of this project the T25 will demonstrate her versatility by supporting multiple activities such as flexible pipelay, saturation diving, lifting, subsea construction and installation services”.